In order to install Windows Azure Active Directory Module for Windows PowerShell, you must have Microsoft Online Services Sign-In Assistant version 7.0 or greater installed on this computer. Solution: Try installing the latest version of the Microsoft Online SErvices Sign-In Assistant. If you still receive the error after installing the Sign-In Assistant, make sure you are using the latest installer for the Microsoft Online Services Module for Windows Powershell. If you still receive the error after trying both installers, try installing the Beta version of the Windows Azure Active Directory Module for Windows PowerShell. Notes: The first time I saw this issue was running Windows 8.1 on my Surface Pro 2. I did not seem to see this issue on Windows 7. This entry was posted in Office 365 and tagged Microsoft Online Services Sign-In Assistant, Office 365, version 7.0, Windows Azure Active Directory Module for Windows PowerShell on December 19, 2013 by Jack. Synopsis: One of the biggest problems I have seen with Office 365 is ease in accessibility to all of the Office365 resources. 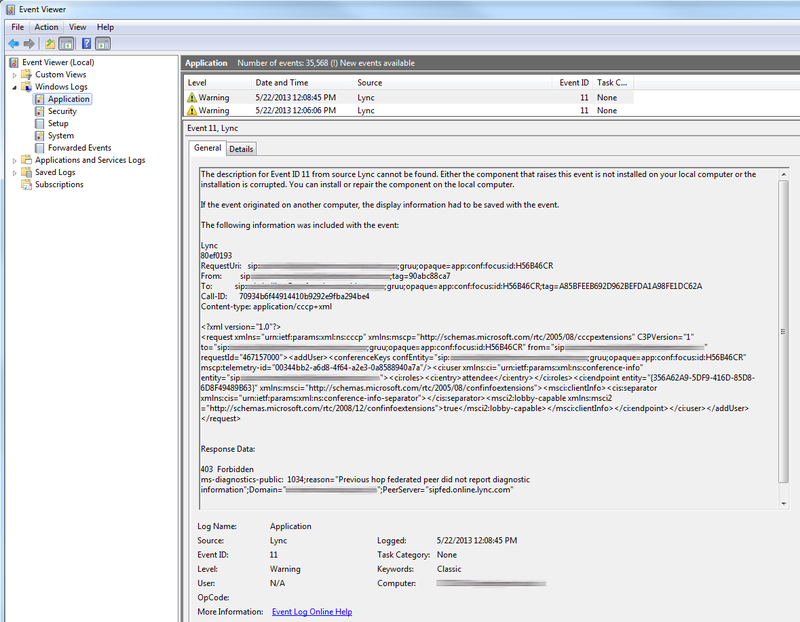 As pointed out on many of the Microsoft forums, SharePoint, CRM, Skydrive, etc. do not automatically complete a single-sign on request when browsing the website. Solution: Create name branded “fancy URLs” that will complete an idp claim to give the user a true SSO experience. You should be redirected to your ADFS server and inside the network console, you should see a link like https://sts.mydomain.com/adfs/ls/?……………… Copy this link into notepad. Replace https://sts.mydomain.com link goes here with your new smart link and save the document. 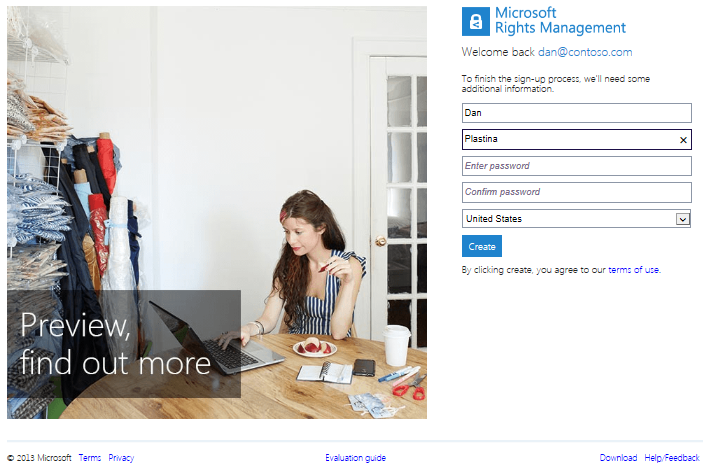 Now when a user browses http://sharepoint.mydomain.com, the user will automatically be redirected to your secure ADFS Proxy and authenticate automatically. You will need to repeat the steps above for each of the Office 365 products your company uses. The federated addresses do change, so you will have to follow all of the steps over again for each Smart Link you wish to create. This entry was posted in Office 365 and tagged idp initiated authentication, Office 365, Single Sign-on, smart links, sso on December 4, 2013 by Jack. 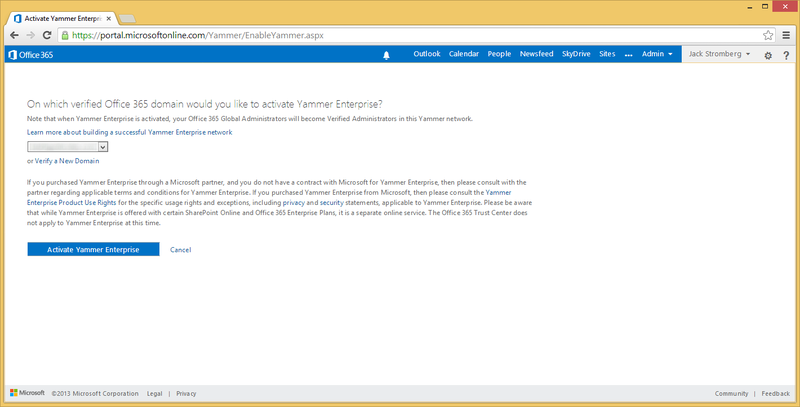 If you are on the enterprise plans of Office 365 (E4 for example), your users may be eligible to use Microsoft’s enterprise social network called Yammer. 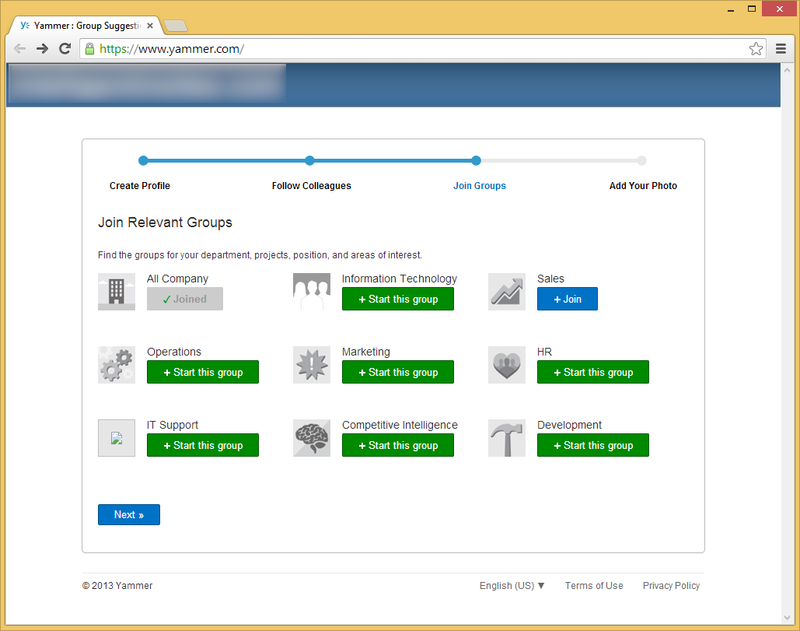 This article will cover a few questions I was curious about when rolling out Yammer as well as what to expect. How do I tell if I am eligible? 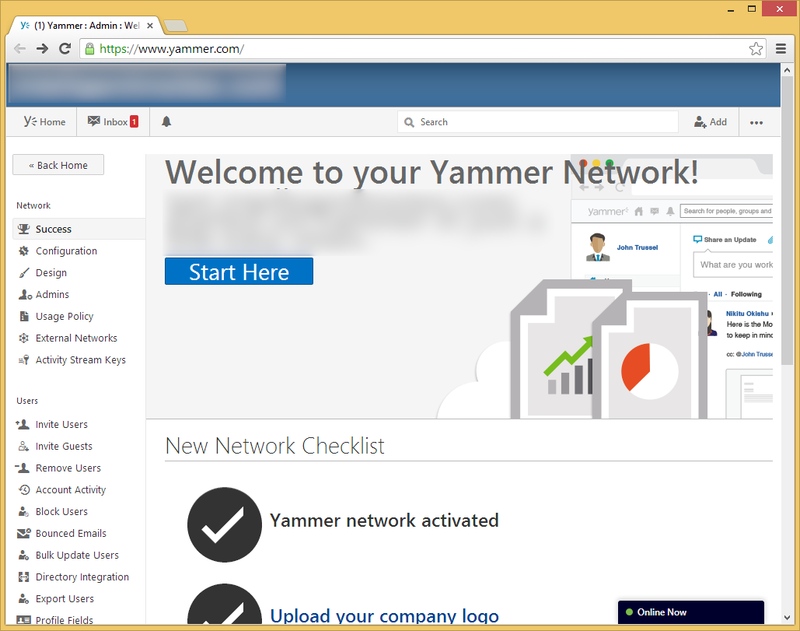 How do I activate Yammer? You will be redirected to a screen where you see a loading bar. Grab a can of pop/coffee/tea/water and come back. 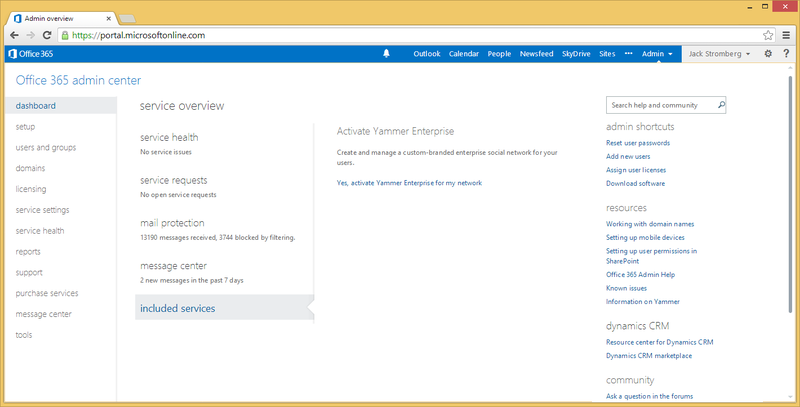 Click on the Create Yammer Account link once Yammer Enterprise has been provisioned. Click Next on the who do you work with page, or spam your colleagues to sign up as well. 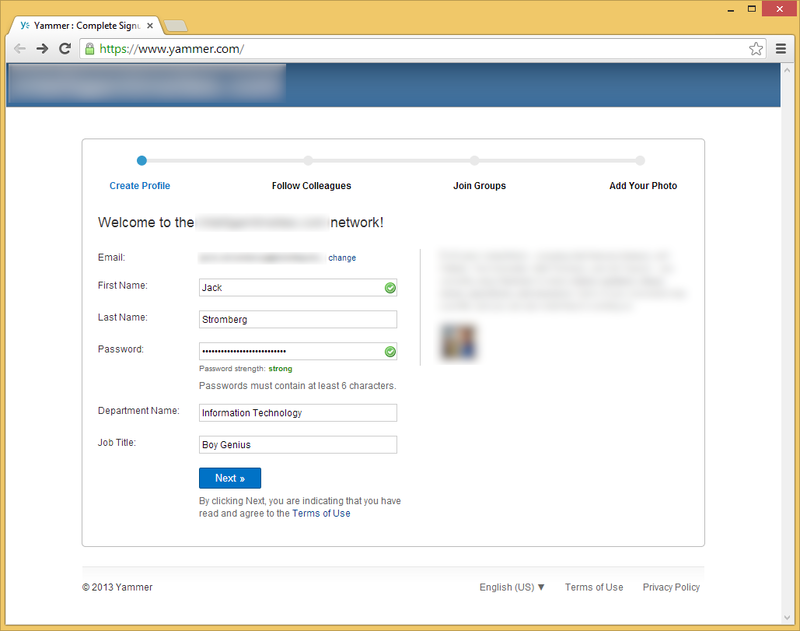 Welcome to your Yammer Enterprise Admin portal! 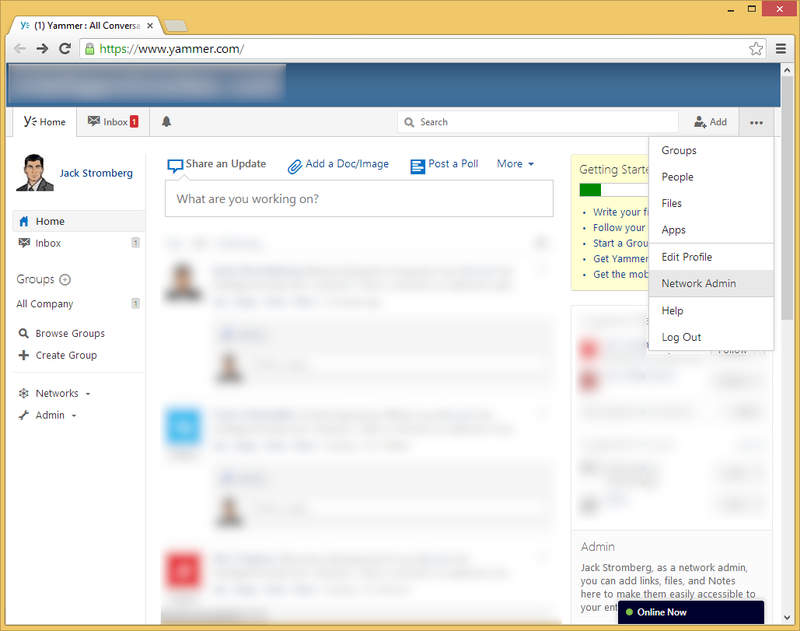 Here you can manage all aspects of Yammer for your organization. 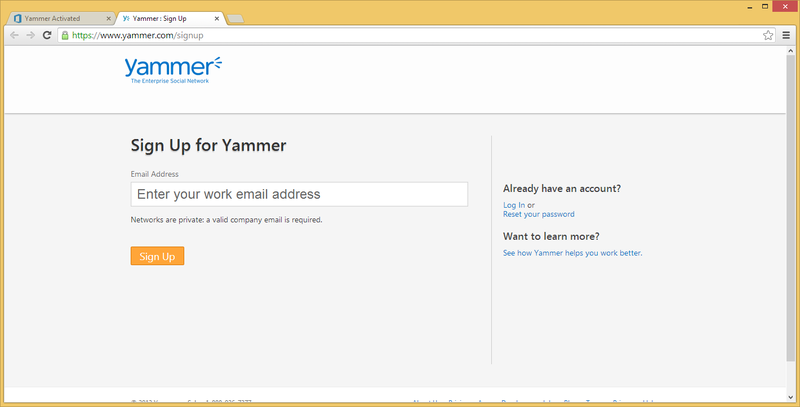 Lastly, if you go back to your Office 365 Admin portal, you should see a link that will redirect you to the Yammer.com website. 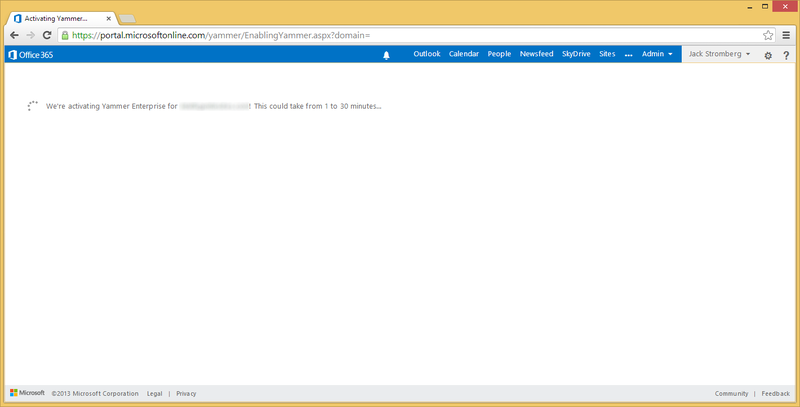 Does Yammer support single-sign on or ADFS? Currently, Yammer does not support this integration at this time. 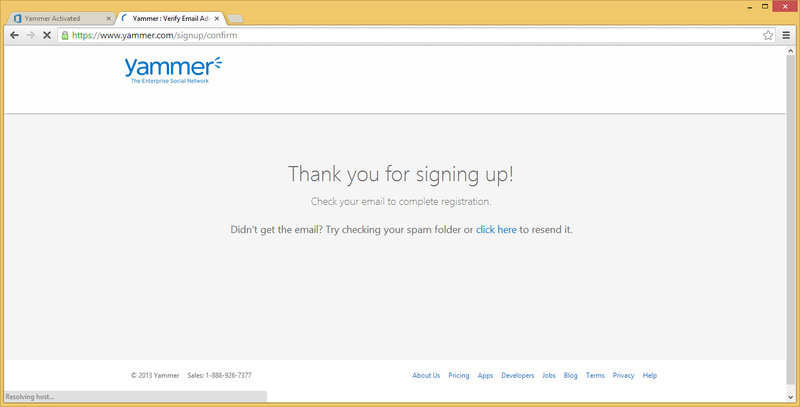 Will Yammer find users previously signed up with email addresses from @mydomain.com? 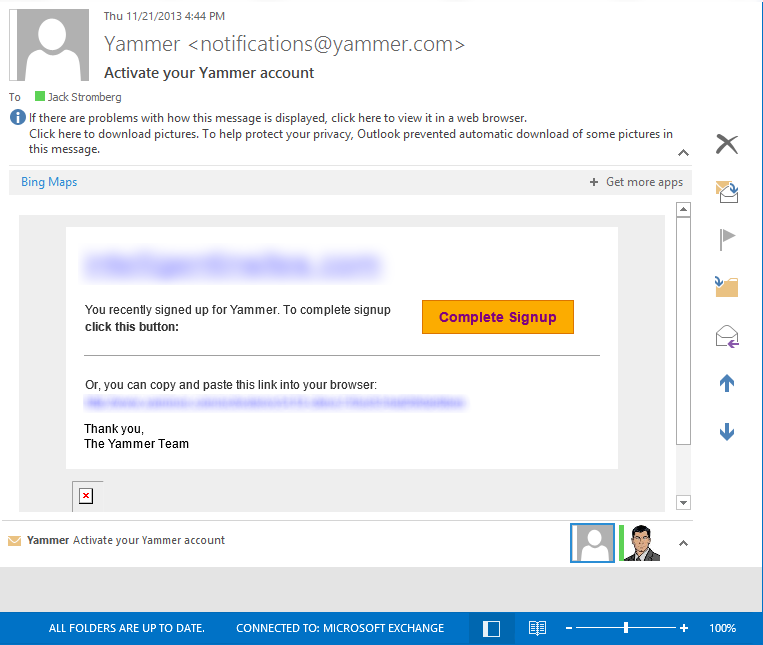 Does Microsoft have plans on continuing to integrate Yammer and Office 365? Yes, Microsoft has announced they would like deeper integration with Office 365, more specifically with functionality in SharePoint. Quarter 4 of this year (2013) was their deadline for the first integration, and we have seen they have started to deliver. However, there are no specific dates yet of when users will be 100% synchronized between the two systems. 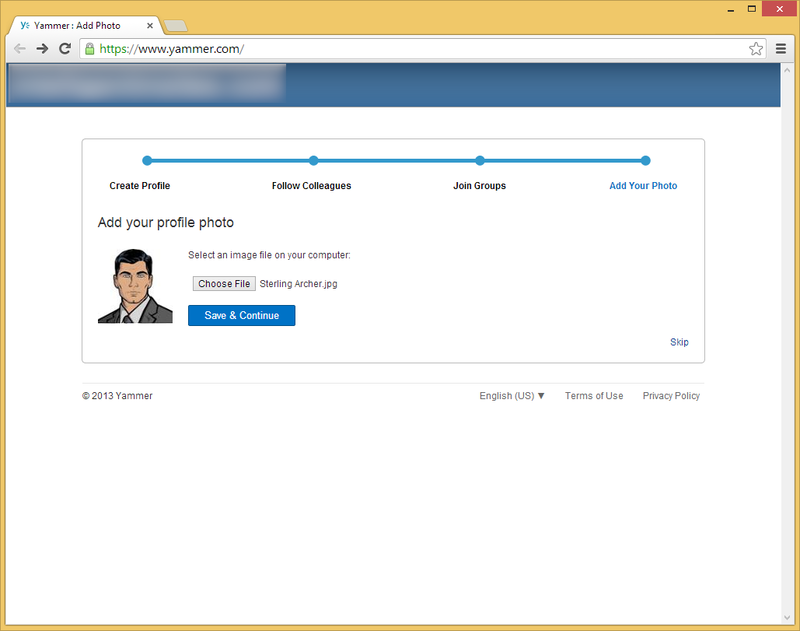 When I activate Yammer on Office 365 for my organization will it email all of my users to create profiles? 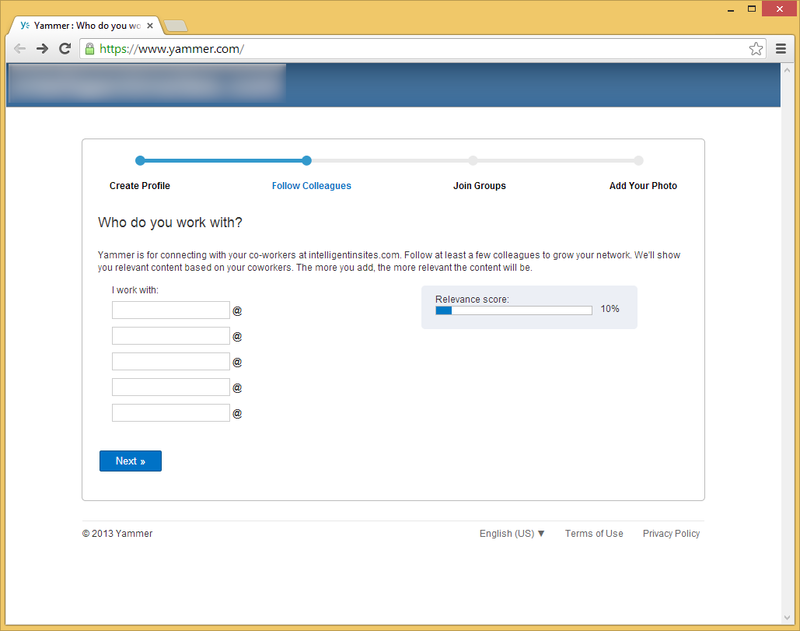 No, they will have to manually join or you will have to manually send them invites to create a separate Yammer account. 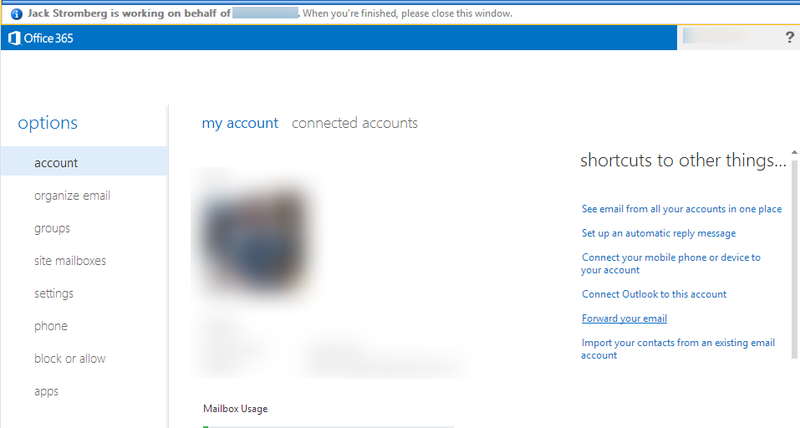 This entry was posted in Office 365 and tagged integration, Office 365, yammer enterprise on November 22, 2013 by Jack. Here is a list of compiled questions I wanted to know when trying AD RMS for Office 365. What is AD Rights Management Services? Active Directory Rights Management Services (AD RMS) is an information protection technology that works with AD RMS-enabled applications to help safeguard digital information from unauthorized use. Content owners can define who can open, modify, print, forward, or take other actions with the information. Are their any examples of using AD Rights Management Services? 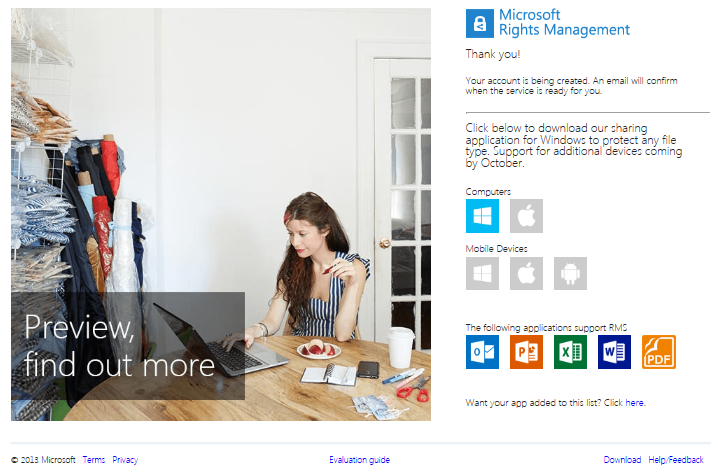 How do I deploy or enable AD Rights Management Services for Office 365? 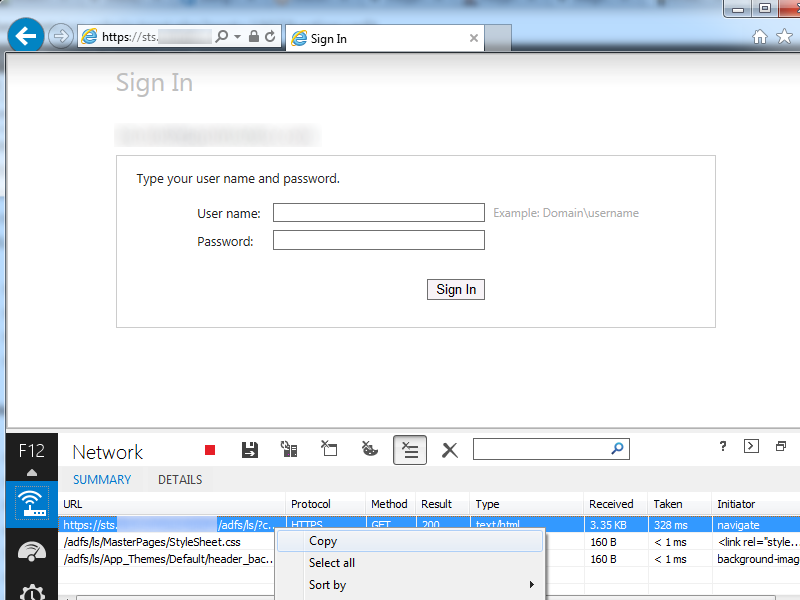 The Manage link should redirect you over to activedirectory.windowsazure.com and present you a big activate button. Click the activate button. 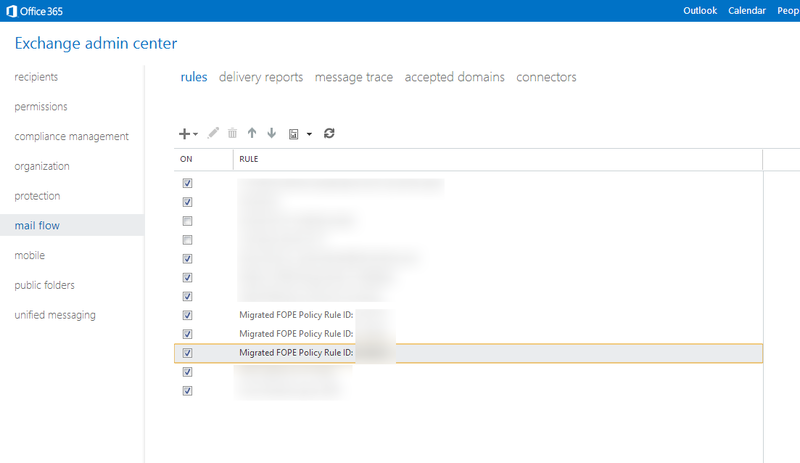 How do I create more policy templates for AD RMS using Office 365 or Windows Azure? 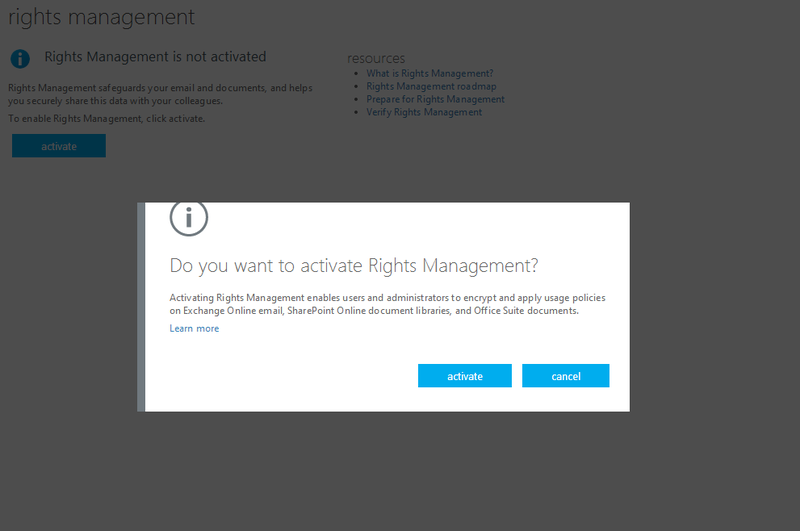 By default, in a pure Office 365 environment, we can get 3 RMS Templates in Windows Azure Rights Management. If we have an on-premises server running Active Directory Rights Management Services (AD RMS), we can get more via import a trusted publishing domain (TPD). So, without on premise server, we just can get default 3 Templates. I enabled AD RMS for Office 365, but I don’t see any options in Office 2010. How do I get Office 2010 to use AD RMS? 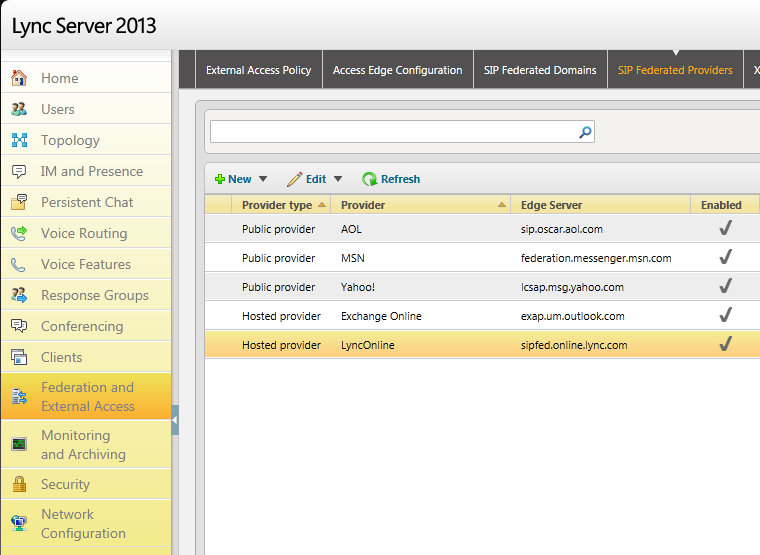 Can people outside my organization open protected documents with AD RMS (not apart of my domain)? 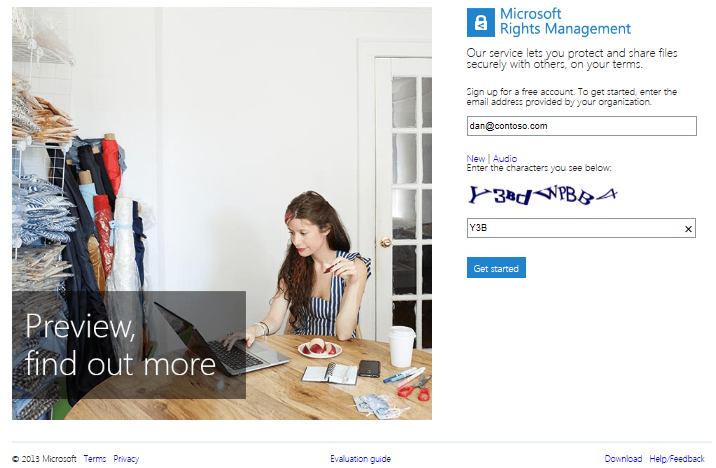 How can an Office 365 customer purchase Microsoft Rights Management Services (RMS)? Active Directory RMS is already included in the Office 365 Enterprise E3, and E4 plans and the Education A3 and A4 plans. RMS is also available as an add-on in the E1 and A2 plans. Consumption of rights-protected content is free. A license is required to protect content. This entry was posted in Office 365 and tagged AD RMS, Office 365 on October 9, 2013 by Jack. 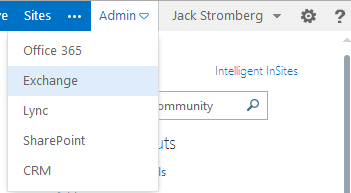 Where did FOPE go in the Office 365 Admin Portal? 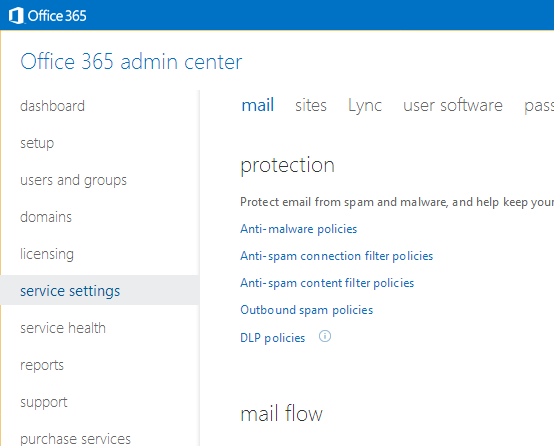 Today a coworker logged into one of our Office 365 Admin Portals and noticed that the Forefront Online Protection for Exchange (FOPE) link was removed to manage mail flow rules. 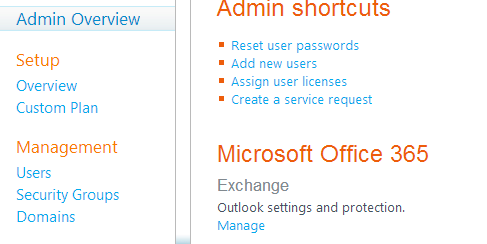 After searching the entire admin panel, turns out Microsoft removed access to FOPE and has instead integrated a new “mail flow” area to manage the Exchange rules. While this is all good and fine, would have been nice to get an email saying the changes to the portal were going to be done. 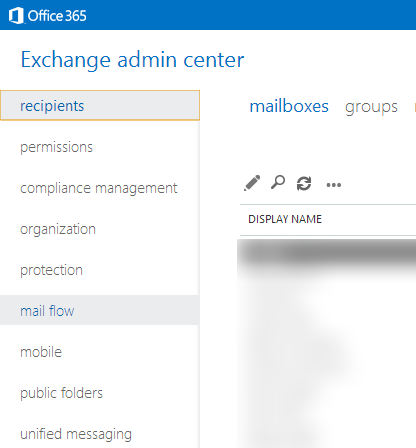 Any who, here is where you can now begin to create/edit/delete your mailflow rules (note, all previous rules were automatically migrated from Forefront Online Protection for Exchange (FOPE) to what is now called Exchange Online Protection (EOP). On the rules tab, you can now manage all of the mail rules as you would have done in FOPE. In the picture below, you can see some of the rules that were automatically moved from FOPE over to Microsoft’s new system (Migrated FOPE Policy Rule ID: xxxxxx). 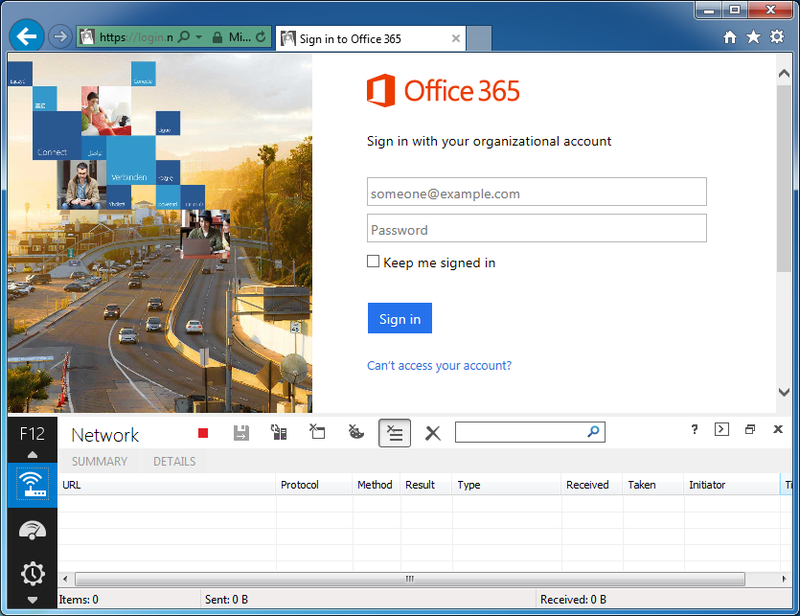 This entry was posted in Office 365 and tagged EOP, Exchange Online Protection, exchange rules, FOPE, Forefront Online Protection for Exchange, mail flow, Office 365 on September 12, 2013 by Jack. Synopsis: Employee leaves on personal matters for a month and their department lead requests for mail to be forwarded to their manager. 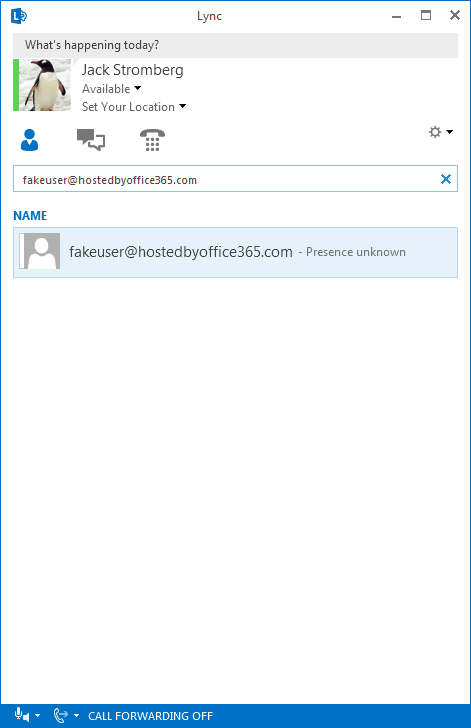 Typically, mail forwarding would be setup inside of the Exchange console, however, in this case, Exchange is managed by Office 365 (not a hybrid exchange deployment) and the users are being federated to Office 365 via ADFS. 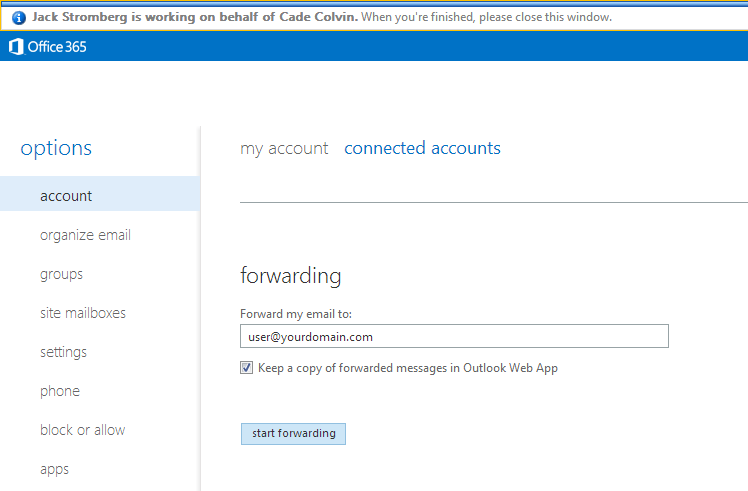 When trying to enable mail forwarding, as outlined in the this help document by the Office 365 team http://community.office365.com/en-us/wikis/exchange/how-to-forward-email-in-office-365.aspx, I would receive an error message. The action ‘Set-Mailbox’, ‘EmailAddresses’, can’t be performed on the object ‘Firstname Lastname’ because the object is being synchronized from your on-premises organization. This action should be performed on the object in your on-premises organization. 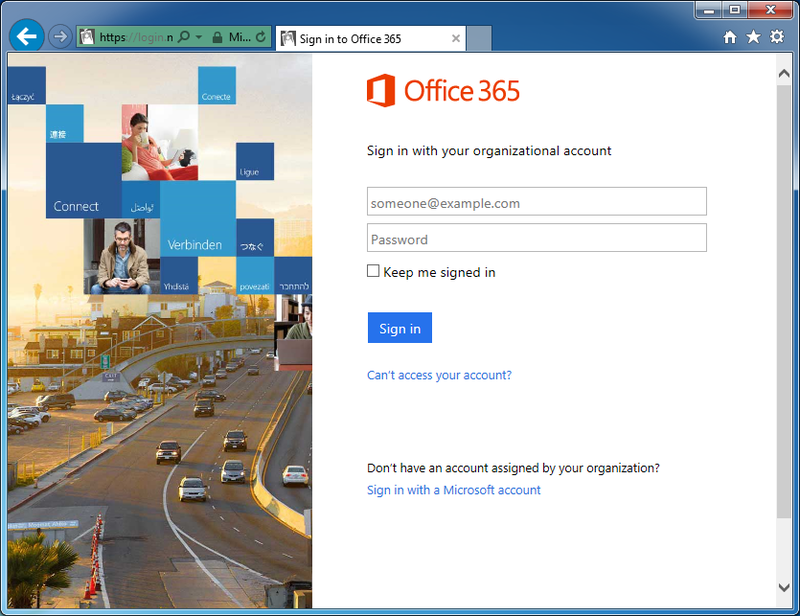 Login to your Office 365 admin portal. Scroll down to forwarding and type in the email address of the user you want all emails to go to and click start forwarding. You can optionally select if you want to leave a copy for the user’s mailbox or have them silently forwarded. This entry was posted in Office 365 and tagged Active Directory, ADFS, Exchange, federation, forward email, Office 365 on July 1, 2013 by Jack. 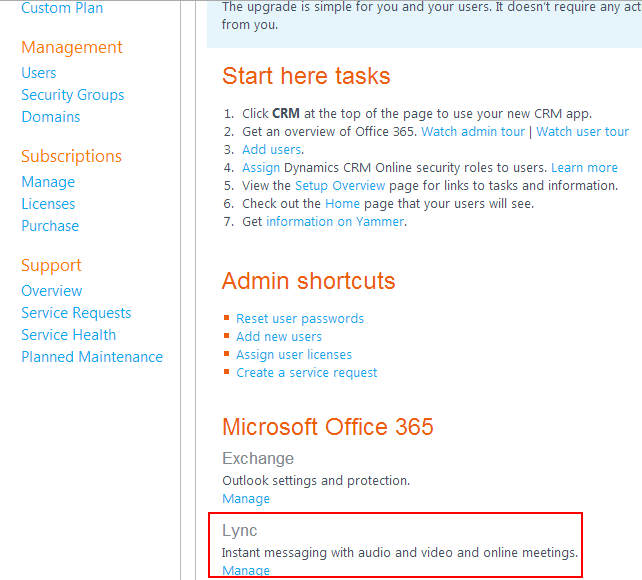 Interestingly enough, even though you have an On-Premise Lync environment, it appears that Office 365 will tie back to your account for some settings. In my case, I had not enabled federation to other PIC providers on Office 365. 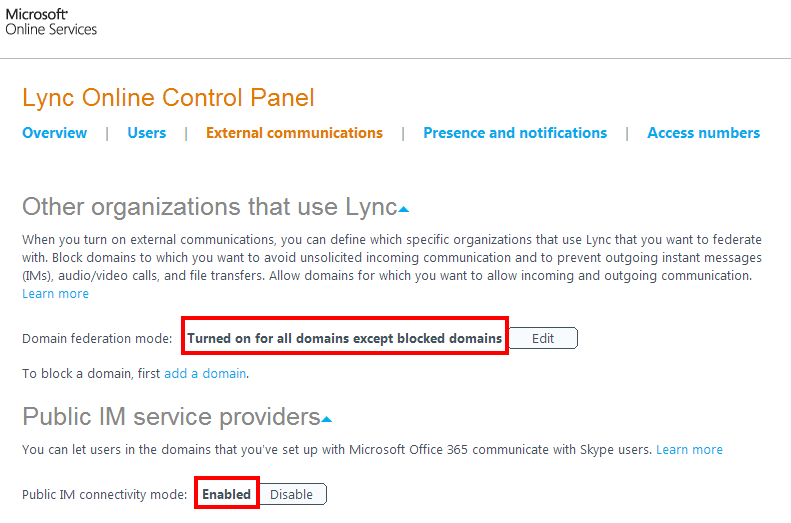 Next, head over to the Lync Online Control Panel for your on-premise Lync deployment. 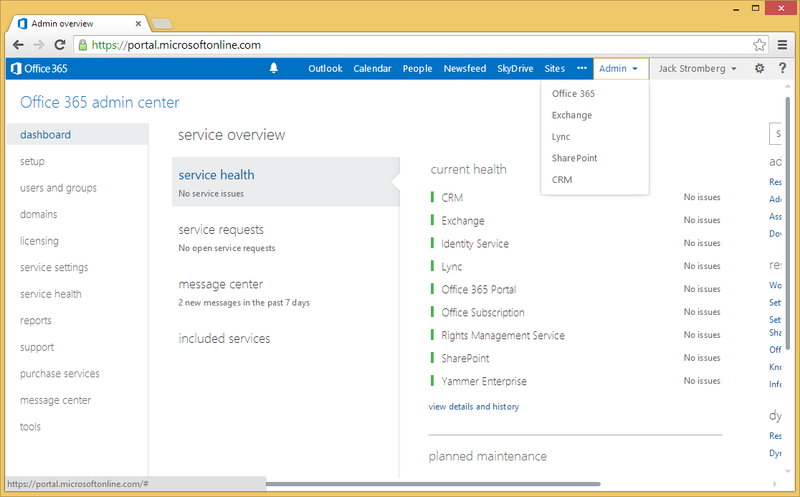 Wait a few minutes for the changes to take effect, exit out of your Lync client on your workstation, reopen and you should now be able to communicate to your federated partner. 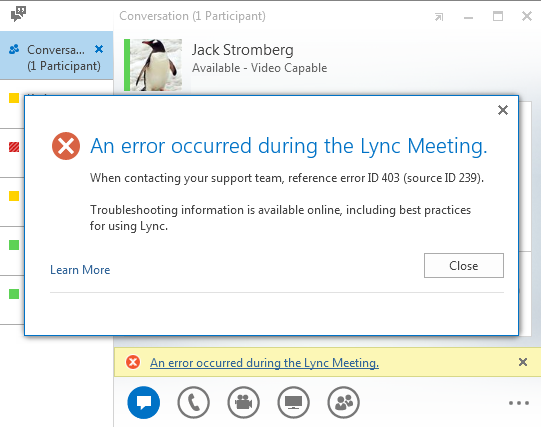 This entry was posted in Lync and tagged error ID 403 (source ID 239), federation, lync on-premise, Office 365 on May 22, 2013 by Jack. No server in the dialplan [Hosted__exap.um.outlook.com__mydomain.onmicrosoft.com] accepted the call with id [c347a4ecc6e74651a2bdce6c43552e53]. Solution: Unfortunately, this seems to be caused by a couple of different things, so I would give all of the following below a shot. 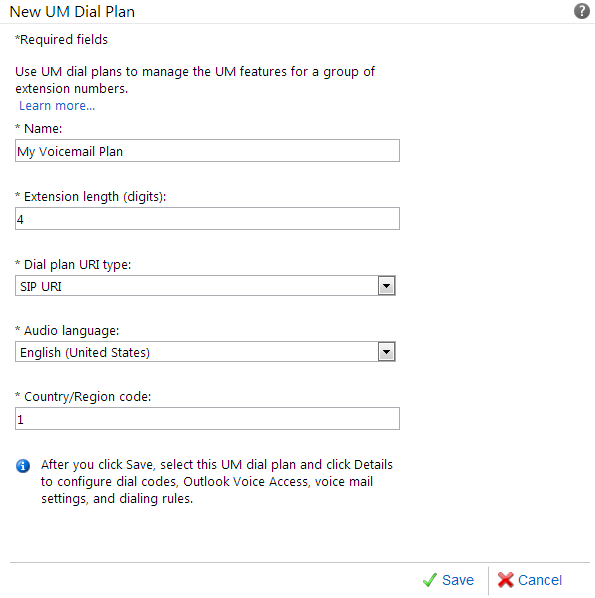 Ensure you have a UM Dial Plan with the number you used in the New-CsExUmContact powershell command you ran earlier. Your settings might differ on the screenshot below, but just make sure you have SIP URI selected. 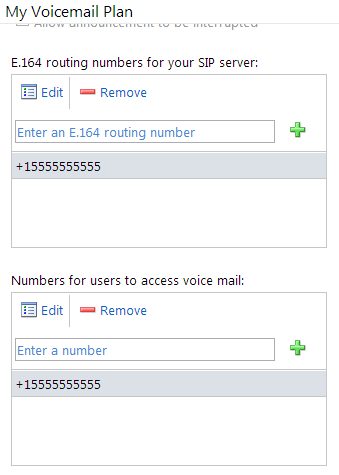 Make sure you configure the number you want your users to dial to access their voicemail in the E.164 routing numbers for your SIP server and Numbers for users to access voice mail boxes. Scroll down to Site federation route assignment and make sure Apply federation route assignments to all sites is checked. If the above doesn’t work, try running the following powershell commands on your front-end server. 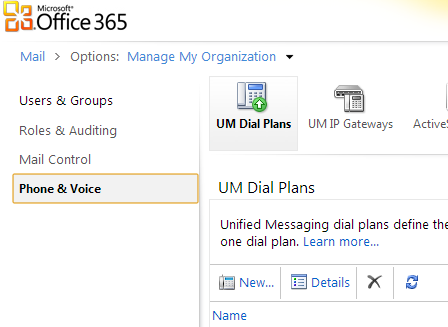 Create Lync contact for Hosted UM (make sure to set the number as the same one in the Office 365 Unified Messaging area. The last value below can be changed to put the UM contact that will be generated in AD, in any OU of your choosing; I just picked the default users one for simplicity. 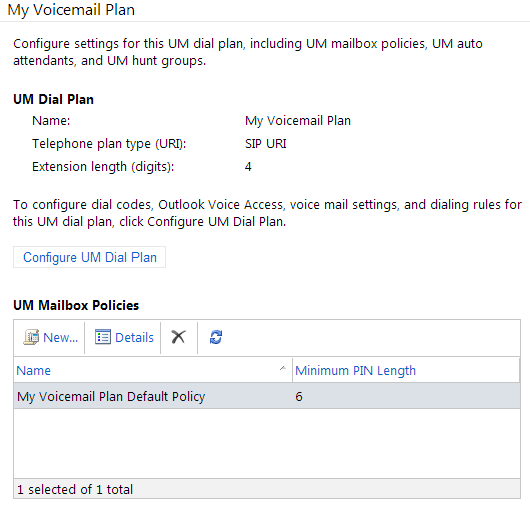 This entry was posted in Lync and tagged 2010, 2013, dialplan, lync, Office 365, route, um, unified messaging, voicemail on March 19, 2013 by Jack. 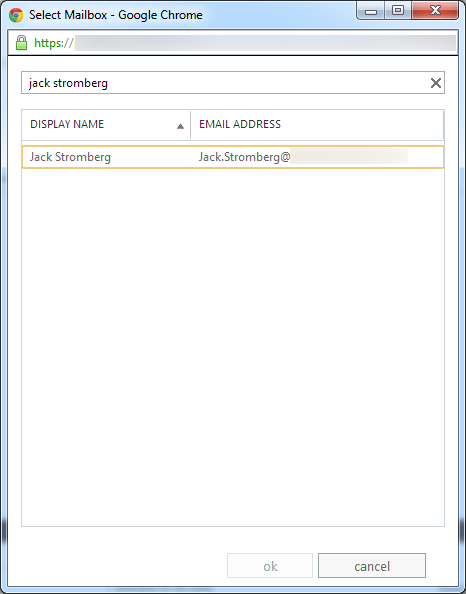 This entry was posted in Office 365 and tagged directory synchronization, MSOLCoExistence, Office 365 on November 29, 2012 by Jack. Normally, user accounts that are deleted within Office 365 sit in “The recycle bin” where they can be recovered if needed. You can’t, however, delete users from that gray area within the web GUI. If you wanted to, say, delete and remove the license from a user and create a non-licensed shared mailbox, you’re boned without emptying it from the recycle bin first. If you’re removing an account in order to recreate it, you’ll have to wait 5-10 minutes before O365 will allow you to recreate over the deleted account. #Haven’t tested this one; have a nagging you may need to fill an array and foreach through all the elements actually. This entry was posted in Office 365 and tagged delete, microsoft, Office 365, powershell, recycle bin, user on November 24, 2012 by brian.haugen.